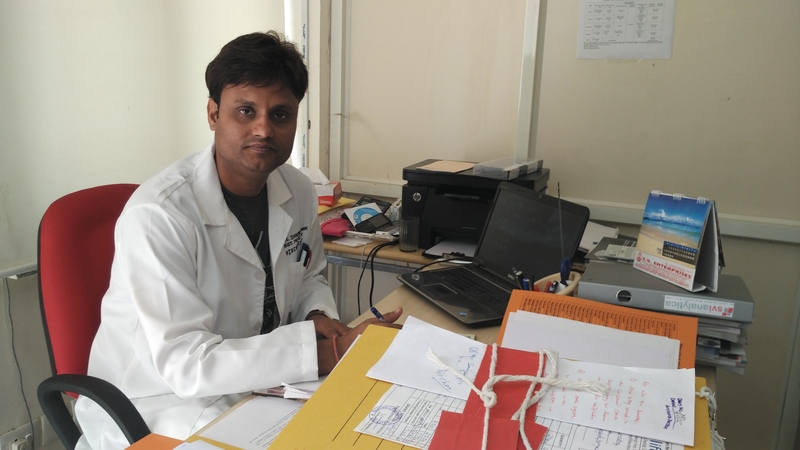 Dr. Sanjay Kumar was born in Delhi, India, in 1977. He received BS degree from Delhi University, India in 2000; MS in Biochemistry from Hamdard University, New Delhi in 2003. He received his PhD. degree in Cancer Biology (Biochemistry) from premier institute in Asia, All India Institute of Medical Sciences (AIIMS), New Delhi, India in 2010 on thesis titled “Role of Tumor Suppressor gene in Brain Cancer(Gliomas). In 2011, he joined at University of Cincinnati, Ohio for his Post Doctorate training and in 2014 he moved to University of Central Florida, Orlandoworking on stem cell therapy for cardiovascular diseases as scientist. After gaining many prestigious achievements like all India top rank in GATE, NET,CSIR-JRF,SPM, scientific officer in Bhabha Atomic Research Centre,American Heart Association member and editorial board member of numerous journals he joined at central University of Haryana as Assistant professor and Head of the department. His current research interest and specialization include Stem cell therapy to cardiovascular disease and Cancer Signaling. He proved his administrative abilities by fulfilling the role of a Member in college amendment committee and chairmanof SYS(Society of Young Scientists) at AIIMS, Delhi. He was the co-chairman of an international conference on the subject “Nanotechnology in medicine”in 2007, held in New Delhi and was the president of another international conference on “Immunity to infection”in 2007. Dr.Sanjay is a good coordinator, administrator, research guide and a former national level athlete. 3) Sanjay kumar. Stem Cell Therapy for Cardiovascular Diseases and its major setback. Intervention Cardiology Journal (Editorial). 7) Sanjay Kumar. P53 and HICI in Brain Cancer Gliomas. Journal of Headache and pain Management (Editorial). 9) Vallabhapurapu SD, Noothi SK, Pullum DA, Lawrie CH, Pallapati R, Potluri V, Kuntzen C, Khan S, Plas DR, Orlowski RZ, Chesi M, Kuehl WM, Bergsagel PL, Karin M, Vallabhapurapu S. Transcriptional repression by the HDAC4-RelB-p52 complex regulates multiple myeloma survival and growth. Nature Commun. 2015;6:8428. 12) Sanjay Kumar and Muhammad Ashraf. A Novel Phosphorylating Mechanism of STAT3 in Protection against Ischemia/reperfusion by Pharmacological Preconditioning with Tadalafil, a PDE Inhibitor. Circulation 2013; 128: A9244 (Accepted AHA abstract 2013, Dallas, Texas, US). Board Member of Deen Dayal Upadhayay Kausal Kendra (Government of India) for Bachelor of Vocational studies.